Club 420: send Zim Sailing’s charter agreement to Charters@ZimSailing.com to request a charter for the event. The U.S. 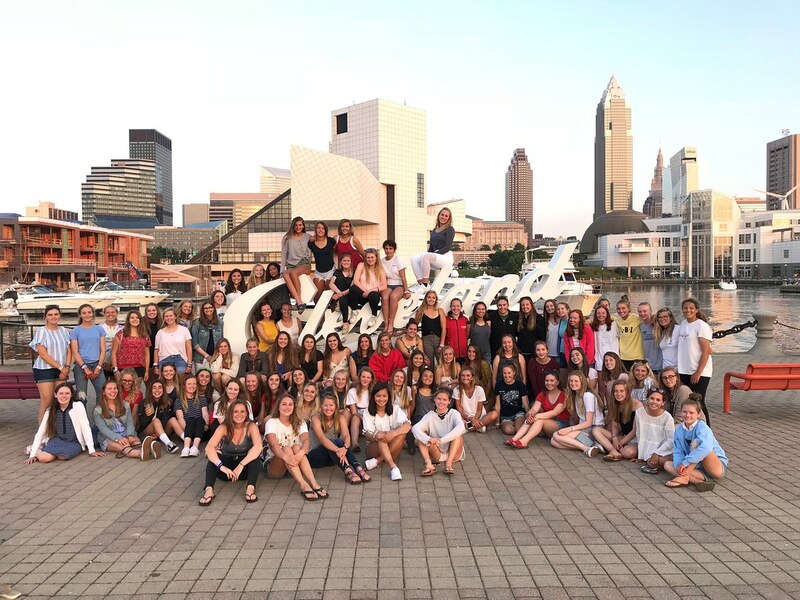 Junior Women’s Doublehanded Championship is an open event open that includes two days of clinic and three days of championship racing in two fleets: the Club 420 and the 29er. No private coaching is allowed, instead US Sailing Level 3 Certified coaches are provided to lead world-class training and coach all competitors to enhance the experience, sailing skills, and competitive sportsmanship of the group. This unique, all girls event provides junior sailors with a chance to build their skills in an all female environment and foster friendships for a lifetime! 29er fleet added to the 2019 US Junior Women’s Doublehanded Championship! The US Junior Women’s Championships Committee has approved the addition of a 29er fleet to the 2019 US Junior Women’s Doublehanded Championship, racing in a separate fleet in addition to the Club 420 Class. Please refer to the NoR for additional registration details. The US Sailing Youth National Coach and staff are hired for the entire event to provide equal guidance to all competitors. No private coaching is allowed. The Singlehanded Championship, sailed in Laser Radials, was started by Tom Clagett in 1980 at the Ida Lewis Yacht Club, Newport, RI and sailed for a trophy named in memory of Tom’s wife, Nancy, who died in April, 1977. In 1985, USYRU (now US Sailing) agreed to support the event on a trial basis. In 1986, it became the U.S. Junior Women’s Singlehanded Championship for the Nancy Leiter Clagett Memorial Trophy. The U.S. Junior Women’s Doublehanded Championship for the Ida Lewis Trophy championship was started in 1995 when it became apparent that a second championship in a doublehanded boat was needed to complement the singlehanded event. It became a US Sailing national championship in 1996. A separate sportsmanship prize was later added to both championships in 2001, following Tom’s death in June of that year and a family logo was created for the championships incorporating Tom’s and Nancy’s private yacht signals. Nancy’s signal was a green ladder on a yellow rectangle since “Leiter” is German for ladder. Tom and Nancy’s first boat was named “The Barefoot Girl” after Nancy’s preference not to wear shoes. Tom’s private signal became two white bare feet on a blue triangle. The Singlehanded class flag is Nancy’s signal flag, and the Doublehanded class flag is a representation of the Ida Lewis lighthouse. #IdaLewis19 U.S. Jr Women’s Doublehanded Champs is filling fast! We’ve almost reached the 30 boat preliminary cap for the Club 420 fleet, but additional spots may become available. If interested, be sure to register and get on the waitlist!